“Our research has shown people know EVs are better for our country and environment and many are ready to consider one as their next car. It also suggests there are some concerns about up-front costs. So we’re teaming up with the experts to test a solution that turns the traditional car ownership model on its head: EVs via subscription, backed by great service,” says Mercury’s Chief Marketing Officer Julia Jack. The service, Mercury Drive, helps people get behind the wheel of an EV without up-front commitment or costs, insulates from depreciation shocks and takes away the hassle and cost of maintenance and insurance. And if you decide the car you’ve chosen isn’t for you, you can just swap it out for another model or stop your subscription. Only $399 a month (for a six-month term) gets aspiring EV drivers behind the wheel of a Gen 1 Nissan LEAF. For those unsure about committing, month-by-month subscriptions start from $469 per month. Subscribers choose their vehicle from a range of options, including the Tesla Model S, and length of subscription (monthly, three monthly or six monthly). Their chosen EV is dropped off and picked up by a concierge service that instructs on the e-driving experience. “This is about walking the talk. We see EVs as New Zealand’s largest green growth opportunity. Many people are already thinking about going electric and we are all for trialling a way to turn that consideration into action. 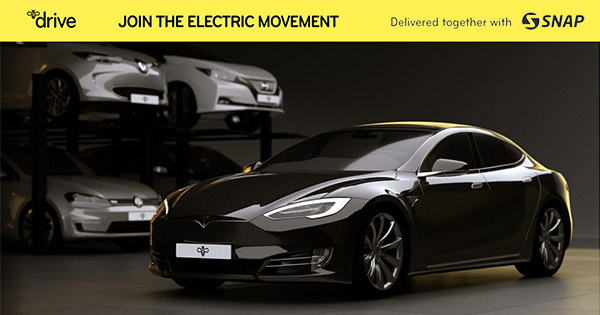 Research findings released by Mercury last week showed an overwhelming 84% of respondents agreed EVs are ‘the way of the future’. Julia says the strong interest from Mercury customers in the initial run of Mercury Drive backed up what Mercury’s research had found. Mercury has teamed up with Snap Rentals for the initiative, which is now live for Mercury customers based in Auckland. The site, evdrive.co.nz, is still building up vehicle availability, and taking expressions of interest, with the development team looking to grow and adapt it in conjunction with users. Mercury was also the first company to put EVs into Cityhop’s ‘cars-by-the-hour’ service, and partnered to promote New Zealand’s Electric Highway via the PlugShare app, which is the leading crowd-sourced EV charging station locator. Mercury also offers a 20% discount on EV charging between 11pm and 7am to support EV owners and encourage off-peak charging. When is the best time to switch power providers?